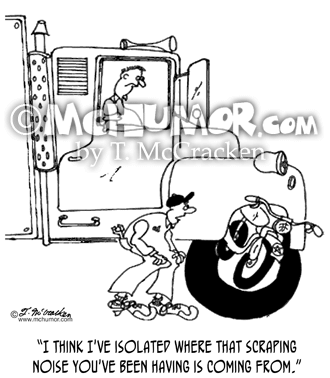 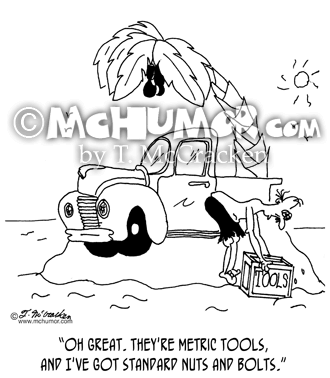 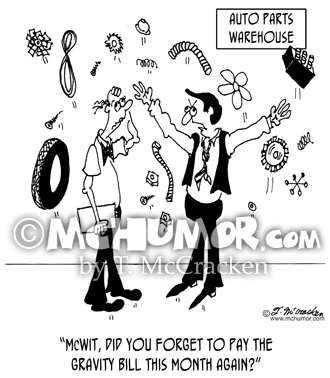 Truck Cartoon 5441: A mechanic seeing a motorcycle under a huge truck saying, "I think I've isolated where that scraping noise you've been having is coming from." 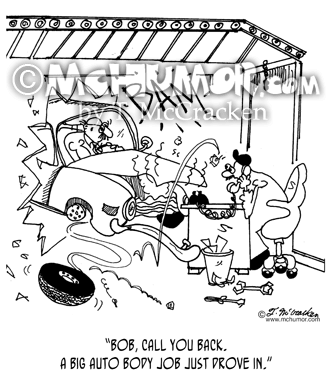 Repair Cartoon 7185: A mechanic on the phone seeing a car drive through the wall saying, "Bob, call you back. 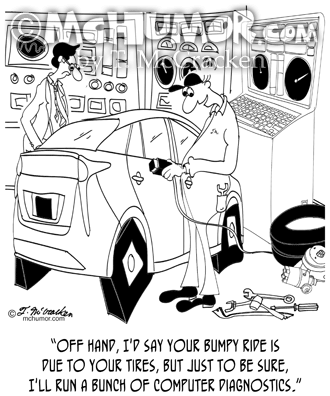 A big auto body job just drove in." 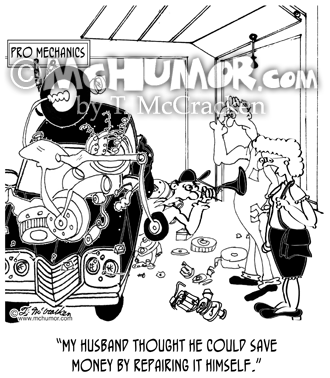 Auto Cartoon 9204: A woman looking at a completely discombobulated car engine says, "My husband thought he could save money by repairing it himself. 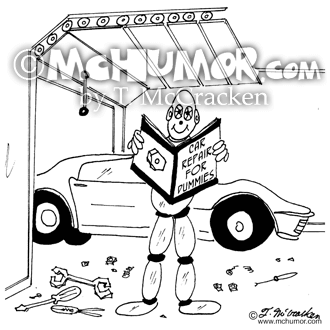 Repair Cartoon 6935: A crash test dummy reading a book, "Car Repair for Dummies." 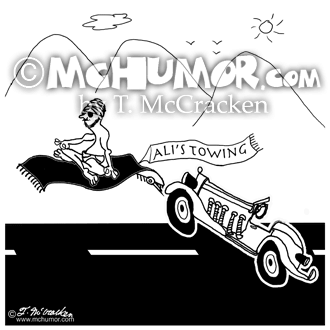 Towing Cartoon 8178: A Sultan on a flying carpet tows a sports car behind him. 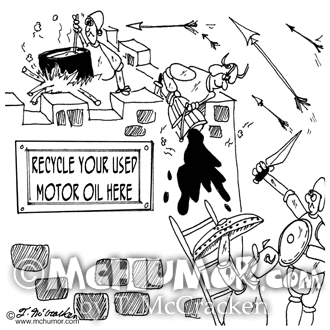 Soldering Cartoon 7237: "Organic Soldering." 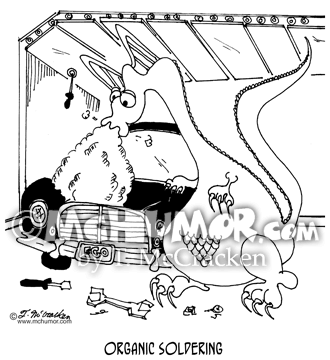 A dragon breathes fire on a car in a garage.